We want to take a moment to recognize the significant accomplishment that has occurred over the past several years. What started as an idea for a cultural district was nurtured, tended to, and brought to reality through hours of dedicated service by numerous individuals. It began on November 21, 2013 when several of us, joined town and school officials, Ms. Anita Walker, Executive Director of the Mass Cultural Council, and Jeff Roy, State Representative, on a tour of the high school (which was under construction) and the downtown area, including THE BLACK BOX (also under construction). During this tour, the seeds of the proposed cultural district were planted. 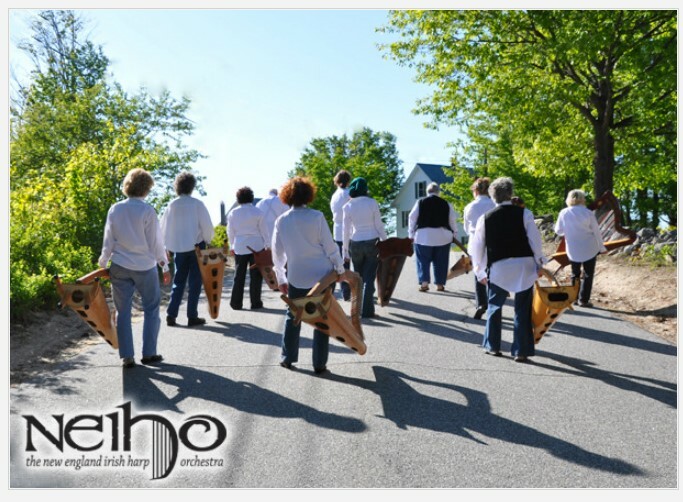 We set out to create a Cultural District, conduct a Cultural Festival to showcase the wealth of cultural assets in Franklin, and prepare an application for Cultural District status for the town. We did this work over the past four years. The Franklin Cultural Festival began in July 2015, highlighting the visual, culinary, performing arts, music, dance, and the talents of the many individuals and organizations within Franklin. The Festivals continued in 2016 and 2017 demonstrating the importance of cultural events and encouraged the inclusion of the arts within other town events. 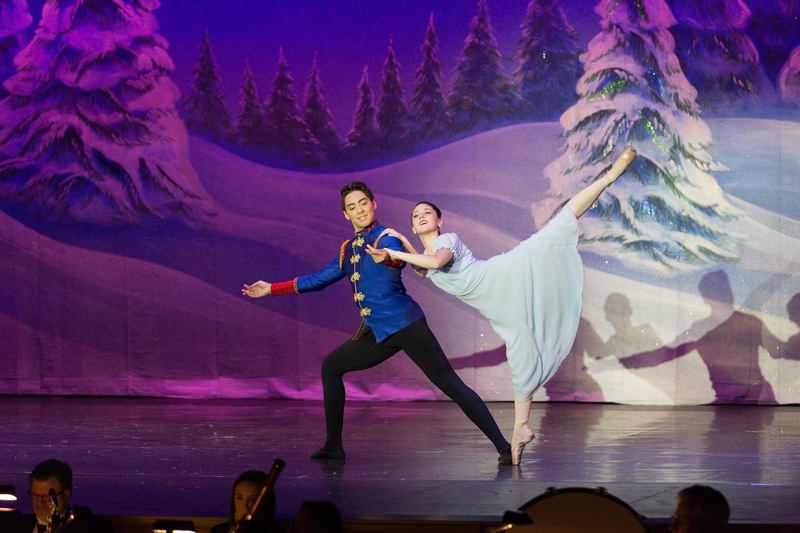 By way of example, the Franklin Downtown Partnership has consistently elevated its inclusion of the fine and performing arts within its community events. The seven member Franklin Cultural District Committee was formally approved by the Town Council on Wednesday, Nov 29, 2017 by unanimous vote. The formal application for Cultural District status can now be submitted. The Cultural District Steering Committee, which brought this to fruition, has achieved this through much hard work, many hours of planning, collaborating, and executing. We want to thank the Town leadership, Franklin businesses, and institutions, and the numerous individuals and organizations that helped to advance Franklin along the pathway to Cultural District status. Our work as a Cultural District Steering Committee and as the coordinator of the Cultural Festival is complete. Our Dec 9th Winterbloom holiday show has been CANCELLED. Several Winterbloom performers have recently experienced medical problems that have caused them to cancel their tour this year. All previously purchased tickets will be refunded this week. Also, the Gretchen Peters show has been moved to April 7th and Danielle Miraglia will perform on Jan 6th. We are very sorry for any inconvenience that this may cause. The Franklin Cultural Council (FCC) announced today that it has been named a collaborator for the upcoming ArtWeek festival happening April 27 – May 6, 2018. Applications for the festival are now available at artweekma.org. The early bird deadline to submit an ArtWeek event is January 8, 2018 and the final deadline is February 28, 2018. "Franklin has one of the most vibrant arts scenes in MetroWest," says FCC Chair Stacey David. "Our role as a collaborator is to help artists, performers and venues partner together to create a really memorable ArtWeek festival showcasing their amazing talent and resources to the rest of the region. We are pleased to announce that the Franklin Public Library, Rec Department, Franklin Arts Academy at the high school, and many more organizations will be offering unique ArtWeek programs." Presented by Highland Street Foundation and produced by the Boch Center, ArtWeek offers new ways to experience art, culture, and creativity. This year, Mass Cultural Council and the Massachusetts Office of Travel and Tourism have joined ArtWeek as Lead Champions in this unique opportunity to shine a spotlight on the state’s creative economy. The Franklin Cultural Council is offering ArtWeek grants of up to $250 each for programs that are offered free of charge to the public. Grant applications are open now, and close Jan. 9, 2018. If you are an interested artist, educator, performer or venue that would like help creating an ArtWeek event, or for information on ArtWeek grants, please email FCC Chair Stacey David at franklinculturalcouncil02038@gmail.com. For more information on ArtWeek, visit www.artweekma.org. FPAC: Thank you for your support on #GivingTuesday! Thank you for your support of FPAC on Giving Tuesday! We are happy to announce that we exceeded our goal and raised $3099.00 for equipment to help us light the stage at THE BLACK BOX!! We are excited that with your support, we are able to purchase a follow spot and several lighting instruments to enhance our theatrical lighting system. To our FPAC village - we are exceedingly grateful and look forward to seeing you at one of the holiday productions still to come in 2017. We wish you happy holidays filled with wonderful music and great live entertainment! Description: This mix of Christmas, Gospel, and Traditional Bluegrass is expected to be a sellout as the last event of OCC’s 325th anniversary celebration. Children 12 and under will be admitted free with an adult. "Winterbloom" (Antje Duvekot, Anne Heaton, Meg Hutchinson and Natalia Zukerman) share diverse reflections and experiences for the holidays. Add some joy to the holiday season with the wonderful music of Winterbloom. 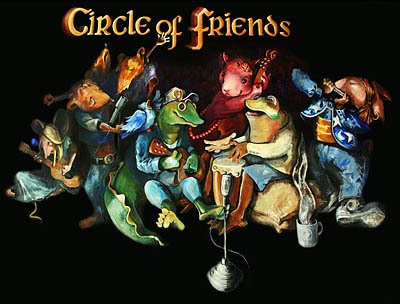 This female supergroup performs at the Circle of Friends Coffeehouse Holiday Show on Saturday, December 9th, at 8PM. Winter is a time for gathering – and sometimes it's even more fun to gather with friends than family! It's in this spirit that a new holiday tradition has emerged – a tradition of friendship and music. Every few years four successful, internationally touring singer-songwriters Antje Duvekot, Anne Heaton, Meg Hutchinson and Natalia Zukerman will tour as "Winterbloom" with diverse reflections and experiences to share for the holidays. It started with one magical show in December 2008 that led these four women to record and tour together. Since then they reunite in the dark days of winter to bring the gift of gorgeous melody to us all. 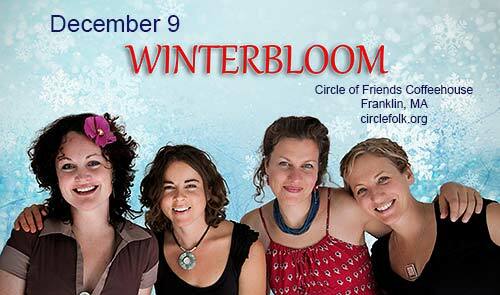 This holiday season Winterbloom returns to the Circle of Friends Coffeehouse for one of only two northeast concerts. Join Winterbloom this holiday season for an evening of warmth, friendship, sarcasm and surprises. This is a wonderful treat for the entire family. 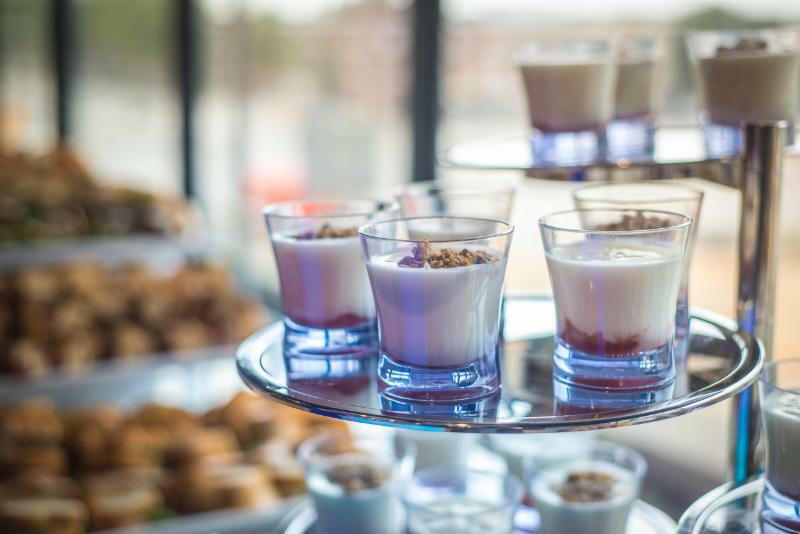 Learn how to make a delicious and impressive brunch and take away recipes for home use. Seats are limited. Must be 18 to participate.